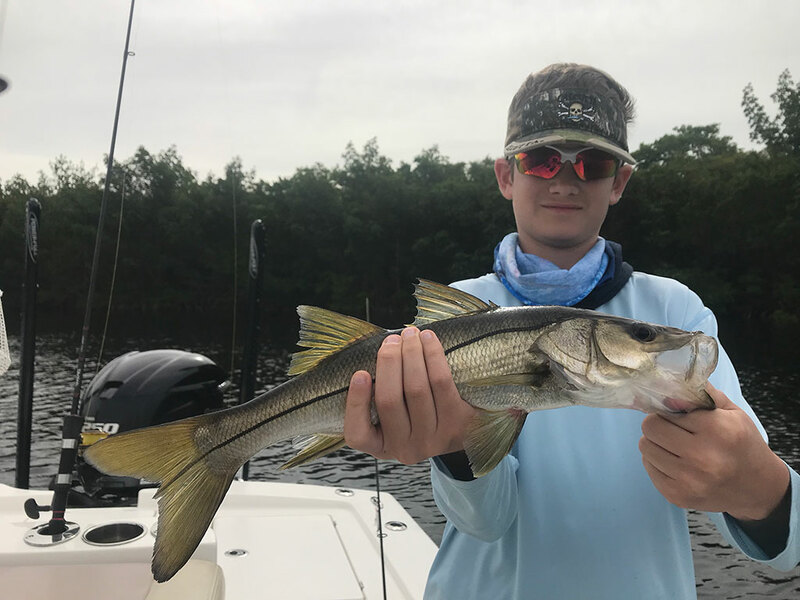 New client and Naval Academy Professor at Annapolis, Md., Stan Fisher fished a half day on board Fish Face II with his sons Josh (16) and Seth (12). They worked hard for what they caught. Stan and the boys proved their staying power and angling excellence when hooked up. 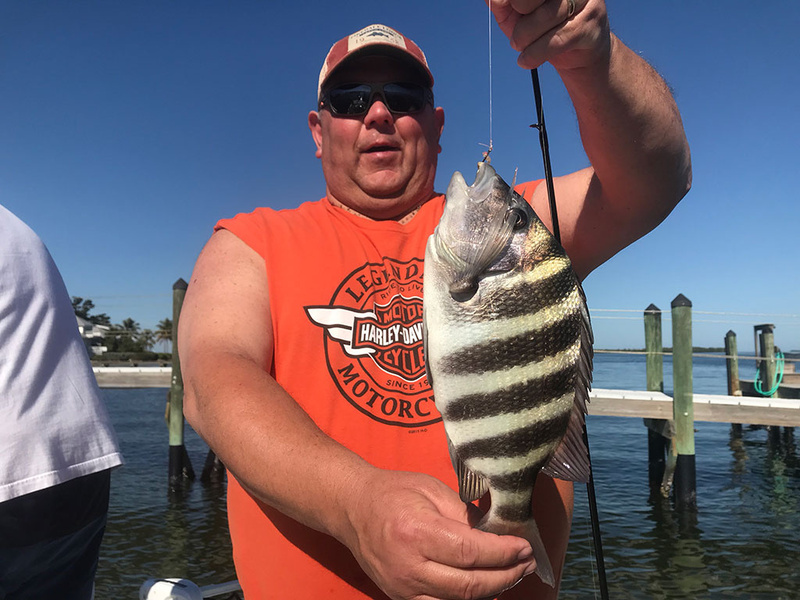 Dad is holding a nice Sheepshead, while Josh is pictured with a nice Snook. 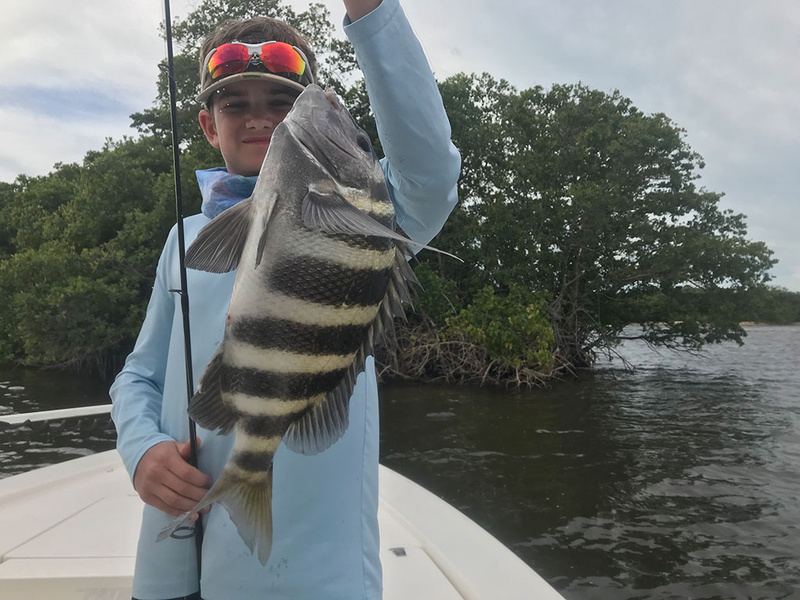 Seth matched his dad with a Sheepshead he caught on a shrimp in the back creek area of Pine Island. Nice going guys and thank you Stan for your service! Hope to see you three next year. 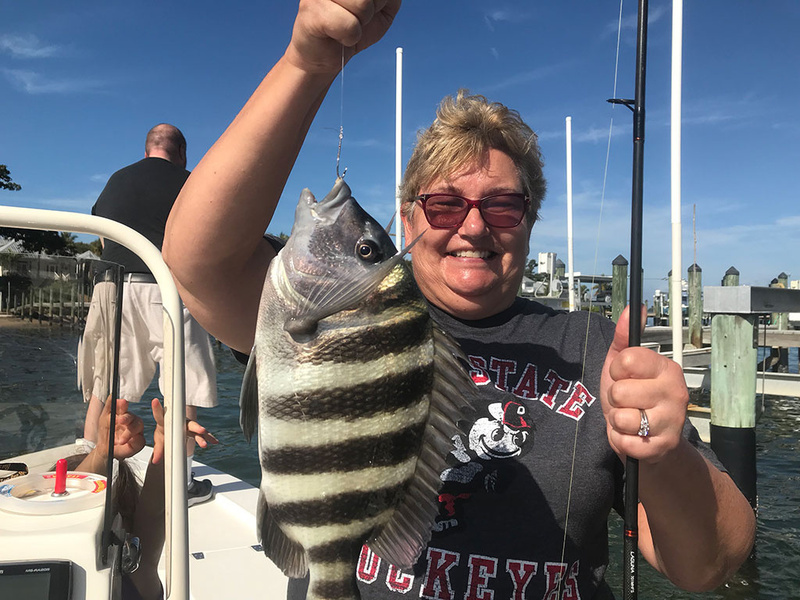 David Porter and his wife Joan from Ohio, are each pictured with one of many Sheepshead caught on a beautiful Saturday outing. These two make a special effort to join me every year with their three grandchildren. We also took time out from fishing to enjoy a Cheeseburger in Paradise at Cabbage Key. I look forward to our time on the water every year as their children grow and become good anglers. Allen and Katrina Coghill from Delphi, Indiana own a nice home on Pine Island. 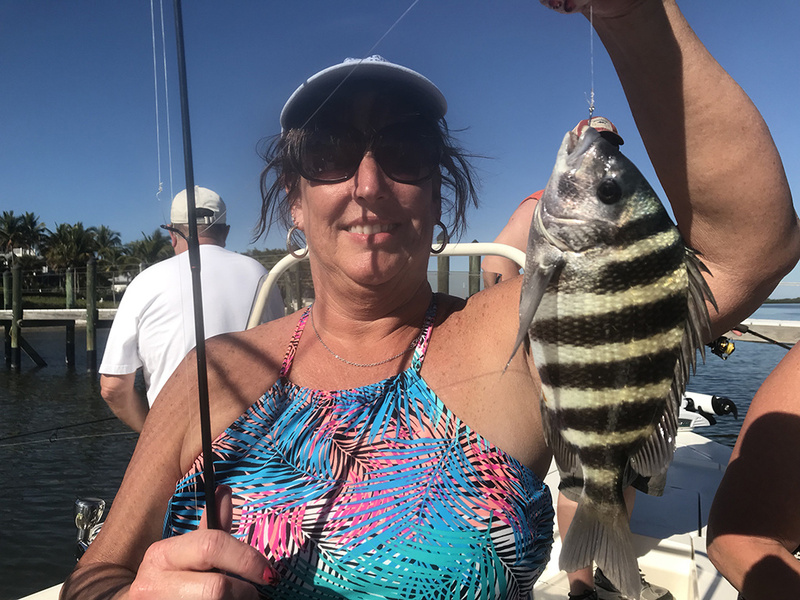 They are boaters and active people with a desire to enjoy the salt life in SW Florida waters. They have friends that are as much fun. 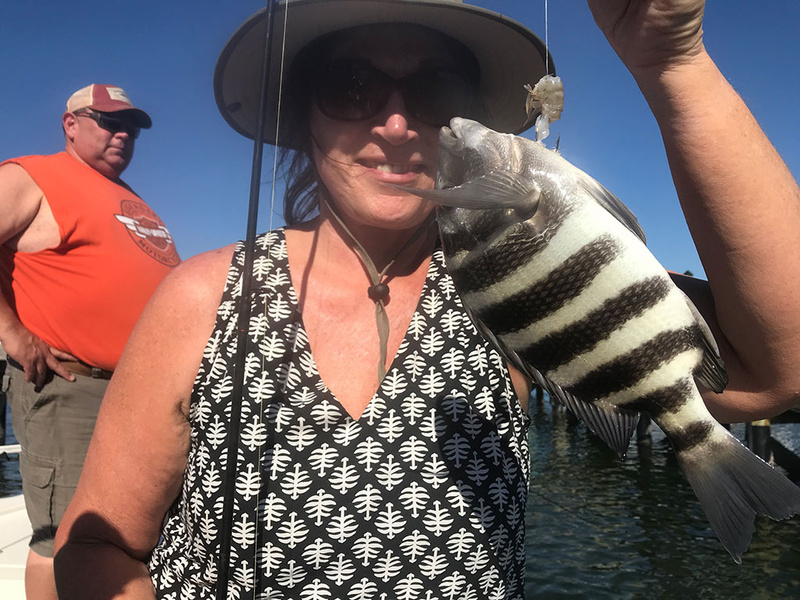 Katrina is pictured with one of many fish she recently caught. 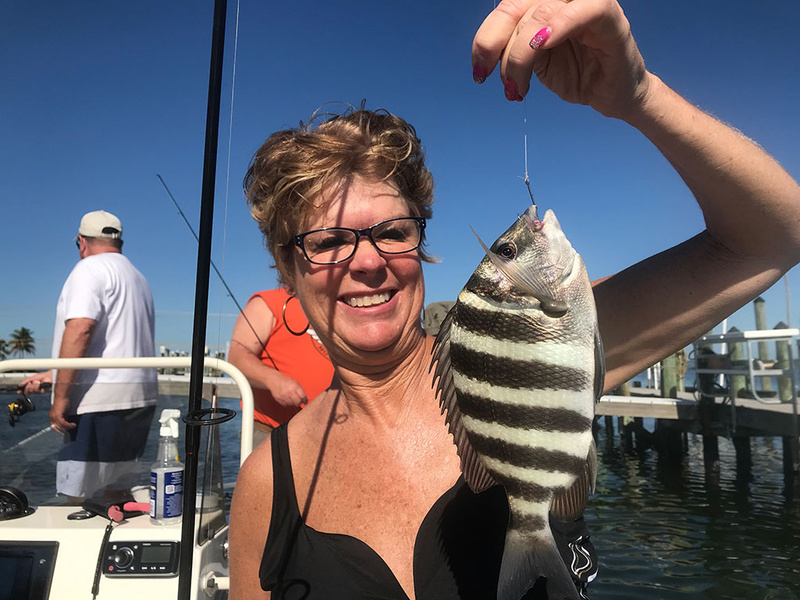 Her friends, Jim, Tina and Cindy are all pictured with one of their many catches of the day. Even though fishing is somewhat hit and miss (depending on weather and winds), it continues to produce bounty. 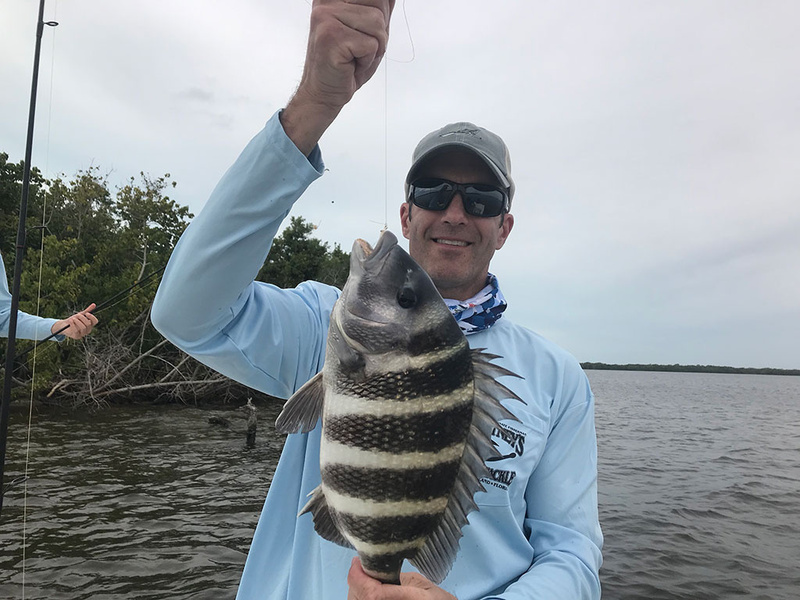 Sheepshead is the inshore species to target over the next number of weeks. Use small #1 or #2 bait hooks, tipped with shrimp around the mangroves and docks. I recommend attaching a small #5 or #7 pinch weight about 6” above the hook for good results. This is Captain Terry Fisher of Fish Face Charters wishing everyone ‘tighter’ lines. Check out my website at www.fishfacecharters.com for rates and booking information. Email me at fishfacecharters@yahoo.com or call me direct at 239-357-6829 to reserve a date and time. 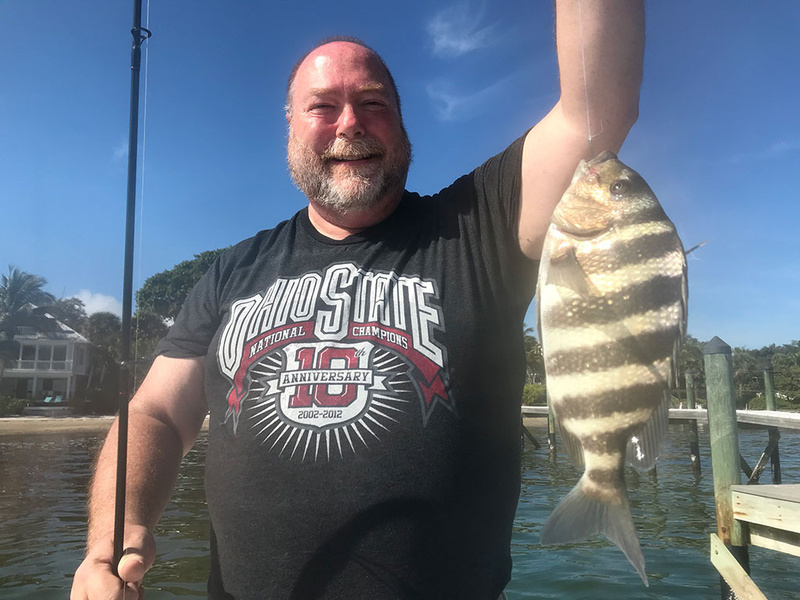 I am also available as Captain for Hire on your vessel (by the hour), to assist with safety, navigation, fishing techniques as well as proven locations which will help insure your time fishing is successful.